Scotland has a long and interesting history with Natural Stone. Although most of the granite and marble that we use today come from Italy, China and Egypt it is important to acknowledge that many of the UK’s landmarks were in fact built using home grown stone. The Rubislaw Quarry operated for more than 300 years. The iconic grey granite, quarried there, gave Aberdeen the name ‘The Granite City’. Both the Houses of Parliament and Waterloo Bridge used Aberdeen Granite to enhance their beauty and resilience. The 240 acre island, Ailsa Craig situated in the Firth of Clyde is home to Blue Hone Granite used to make curling stones. The granite on Ailsa Craig has an unusual crystalline composition giving it a very distinctive appearance but a uniform hardness. The Iona Marble Quarry worked as early as 1745, but did not operate for long. The Marble was difficult to extract and transport was uneconomical. The quarry reopened in the 1800s but again it was deemed too remote and rocky for ships to have safe access. A final attempt in 1907 to extract the Marble ended when the quarry closed for the last time at the end of the First World War. 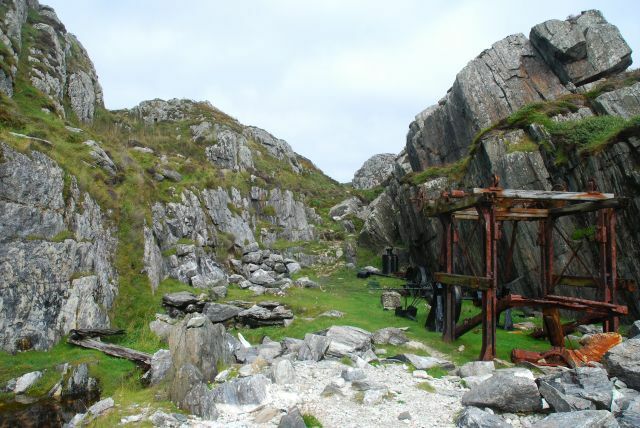 The rusted remains of a large winch and cable remain, along with a cutting frame, water tank, gas engine, wheeled platform and white cut stone blocks. 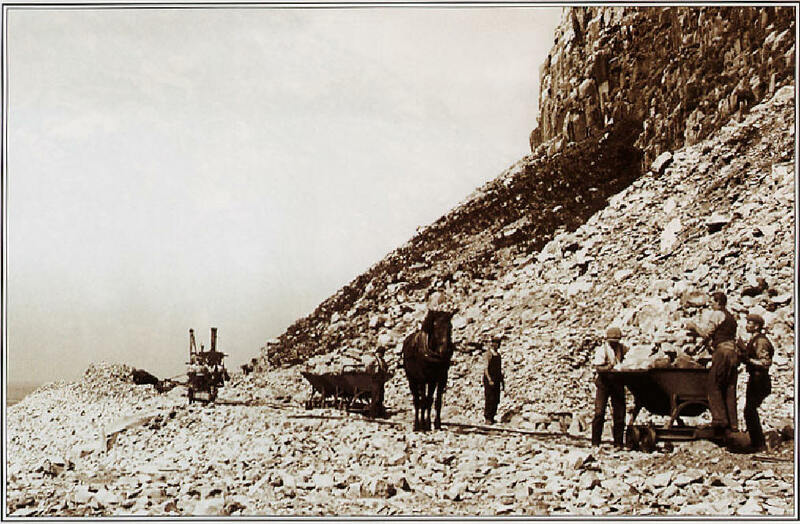 Marble was extracted from Strath Suardal for centuries on the island of Skye. Marble quarries were recorded there as early as 1703. The island’s magnesium rich marble and limestone was used to build Armadale Castle and Iona Abbey. Today the quarry is owned by Leiths Group and employs 12 people. Marble is mined and crushed on site, producing agricultural lime, pebbledash for housing and some decorative stone. It is no coincidence that Granite and Marble worktops are a very popular choice in Scotland given the long history we share with Natural Stone.